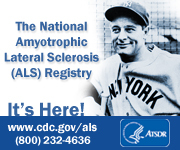 ALS of Michigan - Serving Patients and Families Living with ALS - Welcome to ALS of Michigan! Whether you are a newly diagnosed pALS (person with ALS), someone who has been living with ALS for a while, a family member, health professional, or just interested in information about ALS, welcome to our website. For the past 40 years, ALS of Michigan has worked diligently to fulfill its mission of helping people with ALS, their families and caregivers live life as fully as possible. We take our obligations to Michigan's ALS community very seriously and are dedicated to being here for our pALS and families for as long as needed. We want you (our pALS and families) to know that your needs are of primary importance to us and you will be given individual attention from our trained professional staff that includes three (3) master level, licensed social workers. Our site is meant to give you some basic insight into living with ALS, information about the disease, as well as, workshops, seminars, and fundraising events that we hold. We hope that you find the information on this site useful, and if you need more assistance, please do not hesitate to call our office at 800-882-5764. You can also contact individual staff members by phone or by email by clicking here. Or, you can request an information packet by clicking here. Sign up here to receive our Newsletter filled with information about ALS, Research, and our organization by clicking here. We are holding our 4th Annual Online Auction. gift cards to sports memorabilia to artwork and more. We NEED more items to add throughout the auction! Please consider donating an item or gift card. Popular categories include restaurants, spas, electronics, jewelry, artwork, memorabilia, trips and getaways, sports and entertainment tickets - the sky's the limit! Hear our Tigers roar as they take on the Cleveland Indians! ACT FAST! LIMITED TICKET PACKAGES AVAILABLE! Please contact Kim at (248) 354-6100 or kim@alsofmi.org if you are interested in purchasing ticket packages. Click here to see how you can help us hit a home run! It's Time to Walk'n Roll! 2019 marks our 19th year of Walking 'n Rolling for ALS! We invite you and your family and friends to join us at our largest fundraiser of the year. Find out more about these Workshops here! ALS of Michigan is proud to be able to provide services through our Hiller AAC (Augmentative & Alternative Communication) Center. This bill will help to ensure that our pALS have the equipment and services they need. A research team at Penn State is interested in the experiences of persons with ALS who have received an augmentative/alternative communication (AAC) device. They are especially interested in identifying ways to support good AAC assessment and intervention experiences for persons with ALS. You can find or more information at the ALS and AAC project at Penn State (by clicking http://aac.psu.edu/?p=2885), or by emailing Felicia Giambalvo at psuAACresearch1@gmail.com. Lisa Bardach, our speech-language pathologist, has been working with this research team in developing their survey. Please feel free to contact Lisa for more information as well, at Lisa@alsofmi.org or 248.354.6100 x227. Looking for information on Research Trials? Here are two resources where you can find the latest information on current research being conducted. Read more here at (https://clinicaltrials.gov/ct2/results?term=ALS&Search=Search). Read more here at (http://alsconsortium.org/browse.php). Q: I heard something about voice banking and I want to save my voice on the computer in case I lose my speech. How do I go about doing this? A: This is a question I get frequently. First, let’s differentiate between voice banking and message banking. Based on a model developed by John Costello, MA CCC-SLP at Children’s Hospital Boston (CHB), these are two separate ideas. We are pleased to announce these new rules from the Department of Veterans Affairs. All veterans with ALS who have served at least 90 days or more of continuous service now have presumptive eligibility. Are you concerned about how your generous contributions will be used? Of course you are! 100% of your contributions stay right here in Michigan helping Michigan pALS and their families. Our services to families, caregivers and patients with ALS (pALS) include support groups, respite care, augmentative and alternative communication, seminars and workshops, loan closet of durable medical equipment, home visits, patient and public information, and much more! -- We also support research into the cause, cure and treatment of ALS.